the true utility of Ubuntu Tweak has been removed… if it had the ability to install install Gnome desktop it would have value to me, but in combination with Unity I see no point. sorry for the poor attitude… I made a clean install of 11.10 just so I could check this out to my great disappointment. now I need to go fix my Grub that Ubuntu manages to Bork by overriding the stable version I was using with the Beta it now uses. 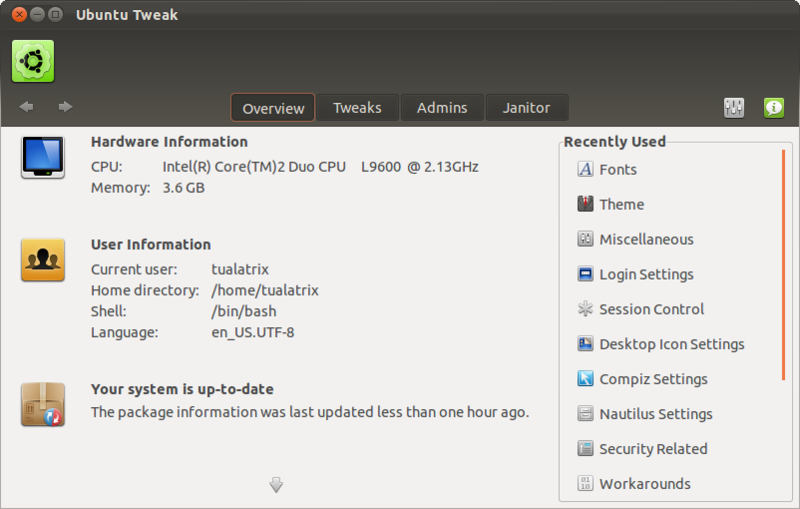 Ubuntu Tweak 6.0 seems to be for Ubuntu 11.10 only. 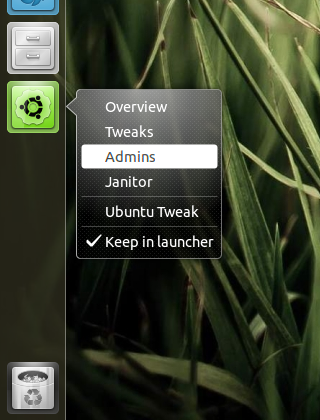 Earlier versions of Tweak are available for earlier Ubuntu distros, but not 6.0. Thanks Bigcat. I am a 0.5.14 user and hope it remains. I do not anticipate moving to 11.10 or the future builds if they continue in the current direction. Great work on getting this new version out so soon. I am sure that as it progresses more features and functionality will be added.